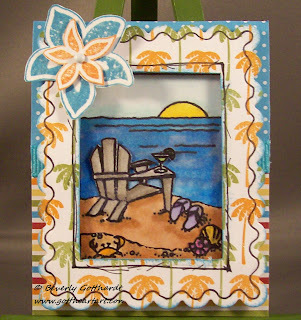 I had to bring my summer stamps up from the bottom of the stack to create this little beauty. A wonderful summer evening on the beach with a nice cool drink watching the sunset, the breezes blow your hair, and sand between your toes. Oh my, making myself wishful for a road trip. You've still got time to create you own little piece of beach art and enter it at the link above for a nice prize. Would love to see some of my followers entering so we all can admire your talent. Hope everyone gets some studio time this weekend, me included. WooHoo...2 weeks in a row before Saturday!! 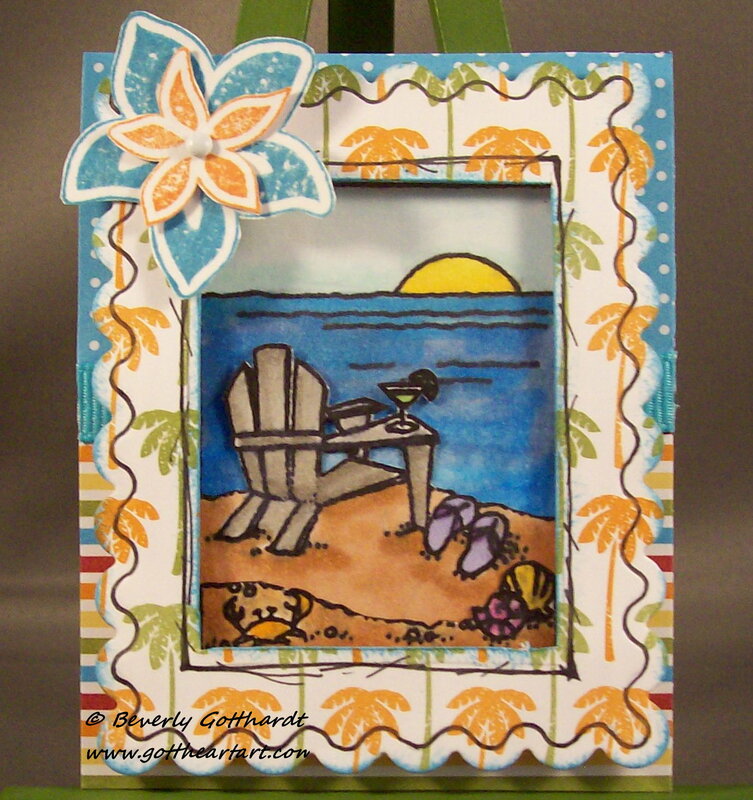 I love everything about this ATC from the image, to the frame, to your doodling...it's a perfect combination! Thanks for joining us at Wicked Wednesday this week, it's always nice to see your creations. Fantastic ATC Beverly!!! Love the frame and how you have it mounted over the picture behind - very effective!!! Thanks for joining us at Wicked Wednesday!! I love your ATC, its so awesome! !